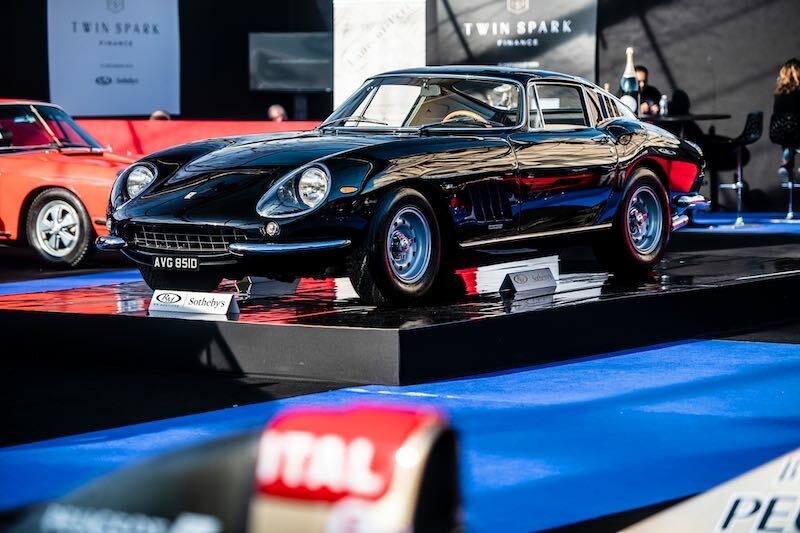 The RM Sotheby’s Paris 2019 sale was held 6th February at Place Vauban in France, resulting in total sales of €32.4 million — the highest total for the company’s Paris sale to date — and a 79 percent sell-through rate. Bidders represented 45 countries at RM’s sixth annual Paris sale during Retromobile Week. The top result at the RM Sotheby’s Paris 2019 sale went to the 1987 Ferrari F40 LM. The Ferrari played a development role as a pre-production prototype, in addition to featuring successful competition history. Bidding in the room and over the phones saw the car achieve €4,842,500 to set a new record for the model. 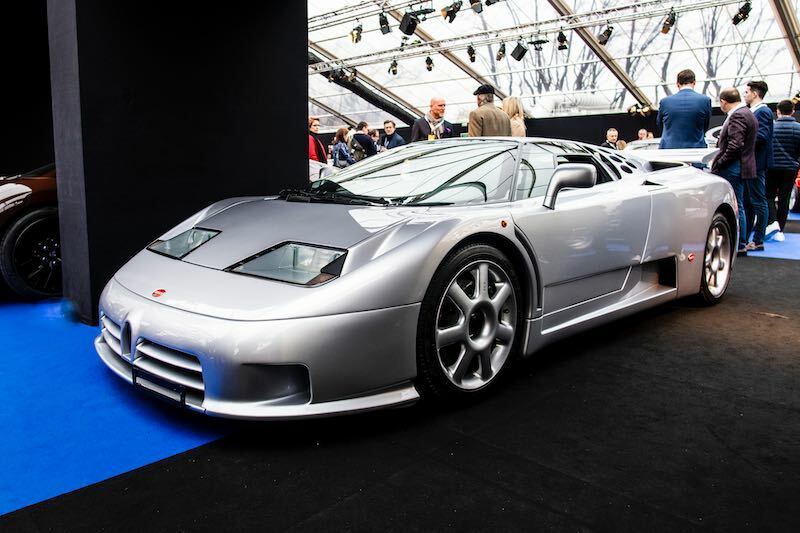 Demonstrating continued demand for supercars, the 1994 Bugatti EB110 Super Sport, one of 30 examples built and one of the lowest mileage examples in existence at 916km from new, sold for €2,030,000 (est. €1.3 – €1.8m). The EB110 opened a bidding contest between three bidders on the phone and one in the room, eventually nearly doubling the previous record for the SS model held by RM Sotheby’s (€1,152,500). Additional modern performance highlights included the 2017 Ferrari F12tdf, which saw interest throughout the exhibition for its Brunito paintwork and tan saddle leather custom interior, translating to a bidding contest on the night, resulting in an above-estimate final price of €1,197,500 (est. €825 – €950k). A 2015 Porsche 918 Spyder, outfitted from the factory with Liquid Metal Silver finish, Magnesium wheels, and the Weissach package rear spoiler, sold for a final €1,101,875 (est. €950k – €1.1m), while the 2018 Bugatti Chiron, showing less than 1,800 km on the odometer, as well as the Classiche-certified 1996 Ferrari F50, were sold immediately following the auction for €2,275,000 and €1,700,000, respectively. Historic sports and racing cars from the 1950s and 60s also starred at the RM Sotheby’s Paris 2019 sale, with a 1956 Porsche 550 RS Spyder, Porsche’s first dedicated competition car, selling for a final €3,042,500 to become the second highest sale of the night. A 1966 Ferrari 275 GTB/6C, the first of eight long-nose, six-carburettor, alloy body, torque-tube examples and freshly restored in its original color scheme, sold for €2,860,000 following the sale, rounding out the auction’s top three. RM Sotheby’s Paris sale also saw the first offering of cars from the Youngtimer Collection, a single-owner group of more than 140 modern classics from the 1980s, 1990s, and 2000s. Prices were strong across the 25 cars presented at the sale, with numerous new benchmarks achieved for models indicative of changing collector tastes. 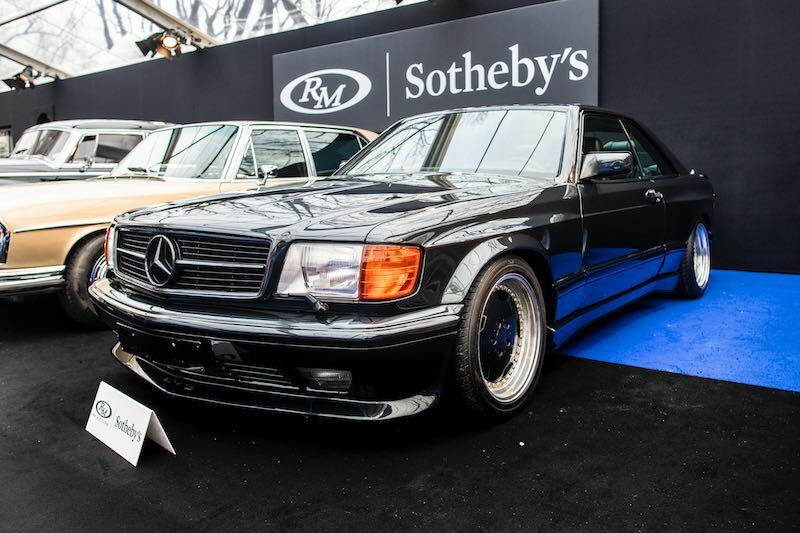 Kicking off the group, a 1989 Mercedes-Benz 560 SEC AMG 6.0 ‘Wide-Body’ incited a bidding contest at Place Vauban, eventually selling for a final €297,500, doubling its pre-sale low estimate and setting a new world record for the model at auction (est. €150 – €200k). RM Sotheby’s continues its 2019 auction calendar next month with its Amelia Island, Florida auction on 8-9 March. Expanded to two days for 2019, the 21st annual sale will bring more than 140 cars to the Ritz-Carlton. The European calendar continues weeks later as RM Sotheby’s stages the company’s first-ever German sale during Techno-Classica Essen, 11-12 April at the Messe Essen exhibition center. The Essen sale is set to present more than 150 cars during the long-running Techno-Classica fair.